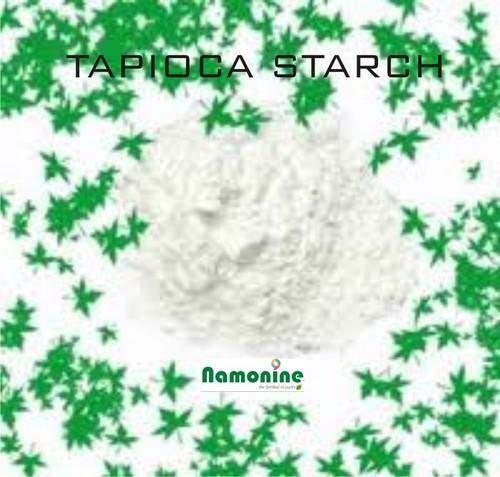 Tapioca starch is a thickener and stabilizer in fruit pies, soups, puddings, breads, sauces, soy and meat products. It can withstand long cooking times without breaking down. And products made with tapioca don’t lose their quality when frozen or reheated because tapioca retains its thickening capabilities throughout these processes. Tapioca becomes clear and gel-like when cooked and dissolves completely when used as a thickener. Chocolates, biscuits, cakes, ice creams, vermicelli. And many more. These winning goodies contain tapioca starch, which is preferred over other starches due to its better gelling properties and usability as a thickening and bodying agent. Sauces made with cornstarch turn spongy when they're frozen. If you plan to freeze a dish, use tapioca starch as a thickener. Starch thickeners don't add much flavor to a dish, although they can impart a starchy flavor they're undercooked. If you worried that your thickener will mask delicate flavors in your dish, choose tapioca starch. It's neutral tasting. Tapioca starch thickens quickly, and at a relatively low temperature. It's a good choice if you want to correct a sauce just before serving it. Starch thickeners give food a transparent, glistening sheen, which looks nice in a pie filling, but a bit artificial in a gravy or sauce. If you want high gloss, choose tapioca starch. Tapioca starch creates a perfectly smooth filling and imparts a high gloss for a tasty-looking result. It’s the perfect product to use with high-acid fruits or a lattice-type pie. Tapioca needs to dissolve before baking. The fruit, sugar and tapioca must be combined in a bowl, and sit for at least 15 minutes before filling. If a recipe calls for cornstarch, it can be interchanged one for one with tapioca. Instant noodles, Noodles, Vermicelli and Sago - all of them are based on tapioca starch which is advantageously to other kinds of starches. Our understanding of the market and serving them with the best and fast services lead us to one of the major Marketing, Sales & Distribution companies in our territory.